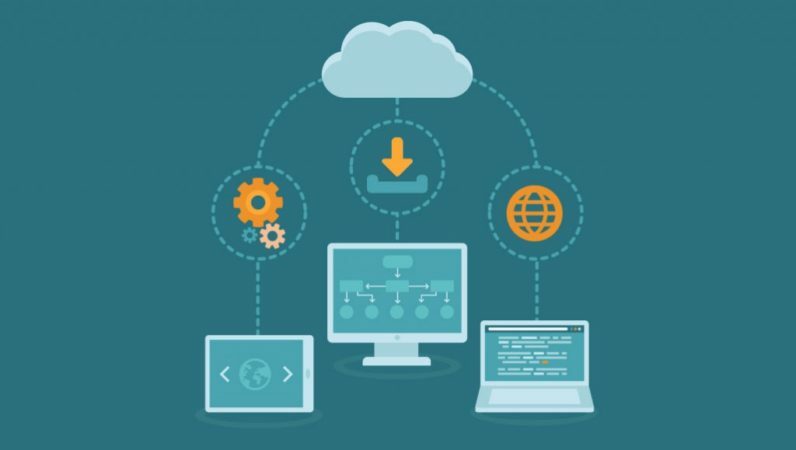 Why are more and more businesses using SaaS? Just 10 or 15 years ago, a large portion of a company’s storage closet was taken up by boxes of software and their bulky training manuals. The larger the company, the more shelves it had dedicated to these discs and soft bound books. In addition to these things, companies also had to dedicate digital space to data storage, since all this software generated gigabytes upon gigabytes of files. These days, companies still need powerful software packages to get work done, and they still need tons of data storage. However, at most offices, the storage spaces that once held software, manuals, and data are, for the most part, filled with other things. What’s changed? Mostly, the software industry (for consumers as well as for the business world) has been transitioning from selling software to customers outright to more of a SaaS, or software as a service, subscription model. This change has also eliminated the need for companies to store so much of their data in-house, as SaaS subscriptions often come with generous amounts of cloud storage. Change is never easy, but if your business has been waiting to take the leap from traditional software with locally stored data to SaaS with cloud-based data, there’s no time like the present to make the switch. What’s the big appeal? Why are so many businesses going with a SaaS model? Here are a few reasons. 1. Updates are built in. It used to be that when you bought software, you bought whatever the current version was, and you were stuck with it. The company would update the software on a regular basis (some companies updated as frequently as once per year), but if you wanted the updated software with the new features and the bugs worked out, you had to shell out additional cash to buy it and invest additional time to install the update on all of your computers. With SaaS, you get the latest version of the software automatically. And, because most SaaS packages are web-based, you rarely have to spend any time on updating. 2. Many SaaS packages do it all. While most SaaS programs are tailored to a specific need (such as web design or database management), most of them are also surprisingly robust in what they offer. For example, BQE Software’s newest product, called Core is a powerhouse for all types of businesses that handles time tracking, billing, project management, and accounting, all from one dashboard. It’s appealing for businesses to be able to use one SaaS platform for multiple purposes, and the SaaS industry seems to be responding in kind by creating software products that satisfy this need. 3. SaaS makes telecommuting a snap. With the old software model, it was hard to get work done away from the office (or away from the laptop you used for work), since everything had to be installed and stored on local machines. With SaaS, though, you can work anywhere there’s an internet connection, and many platforms even work on smartphones. Collaborating is easier as well, since nothing is stored locally. 4. It’s scalable to suit your needs. SaaS is rarely a one size fits all proposition. Most SaaS platforms are sold according to a tiered pricing structure. That way, you get exactly what you need and pay only for what you use. And, most companies have a well-staffed customer service department to help direct you toward the right level for your company. Ten years ago, when you purchased software for your company, it would often cost in the thousands. SaaS products are typically sold as a monthly subscription, which means you don’t have to pay nearly as much upfront. Yes, you can often pay for a year upfront, which does bring your initial cost up, but it’s usually not as expensive as it was to buy the software outright, and it’s also usually optional to pay for an entire year at once. What’s more, most SaaS companies offer new users a free trial, some for as long as 30 days, so you can do a test drive, so to speak, and see if it’s right for you at no cost. 6. Better onboarding and better training. SaaS companies understand the importance of good onboarding and training. In fact, one study suggests that minimizing the time span between a customer’s acquisition of a SaaS product and their first success with that product leads to that customer sticking with the product for the long haul. What this means for you is that SaaS companies will often go the extra mile to provide training videos, webinars, and whatever else is needed to train you as a new user of their platform. 7. Your data is more secure. Stolen equipment is always a hassle, but stolen data can be a real nightmare. If you use a SaaS platform for your data, it’s stored in the cloud and not locally. This means that even if your office is burglarized or your laptop is stolen, your risk of compromised data is much lower than if you stored your data on a local computer.